Last month, I had the opportunity to attend an event where Hon’ble Vice President of India, Shri Venkaiah Naidu Ji graced the occasion as the Chief Guest and officially unveiled two publications at his residence in New Delhi. 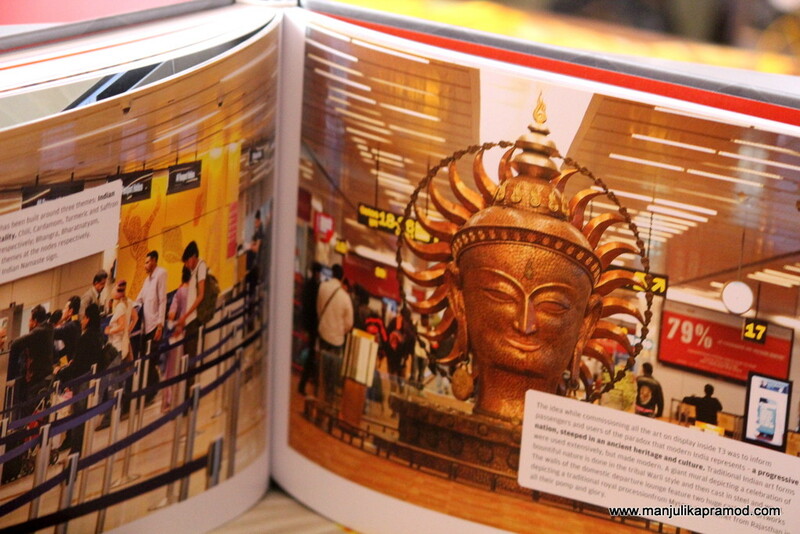 Two important publications from GMR Group- ‘The Economic Impact of Delhi Airport’ and a Coffee Table Book (CTB) on “10-year journey of Delhi Airport” were unveiled. I was definitely biased towards the latter one because of my personal interest. As a traveler and a travel writer, most of my trips begin at this beautiful airport and I love coming back to it too. Having seen a number of international airports, I can proudly say that we are placed very good in the competition. The Indira Gandhi International Airport speaks volumes about our progress as a nation, operational efficiency of certain brands, our caliber as innovators, the state-of-the-art infrastructure and our outlook towards modernization. For some of us the airport may just be a place of convenience, a world class building, a place to begin our journey but for those who have been associated with it, its an asset. It is something that that we are all very proud of. And no doubt among all the airports of the country, Delhi’s IGI Airport plays the most significant role in tackling the unprecedented growth in the field of aviation and tourism. As a Delhiite, I have not only experienced the facilities of the airport but also seen how the operations of Delhi Airport have had a significant economic and social impact in Delhi-NCR and surrounding regions. Its been 10 years and more to its conceptualization. Now, here is a book that narrates its story of evolution and perseverance of its makers, beautifully. Delhi Airport is our pride! Whenever I get a chance to spend some extra time at the airport, I curiously look around and notice its spacious interiors, tribal arts, graphical designs, sculptures, etc. I am sure you have seen it all, the Mudras, Regal Procession, Elephant statues, Surya Sculpture, Surya Namaskar, Warli Art and more. I love the way it embodies Indian culture and captures the spirit of the country. Aren’t we all proud that it has won more than 50 awards and accolades across the world in its category. The best victory was that it was certified as the first Carbon Neutral Airport in Asia Pacific in 2016. The Delhi Airport was developed under the Public Private Partnership model and it sets an amazing example of how this has been an extremely constructive, committed and successful collaboration. The believe in technology and innovation helped the people behind it to make one of the most intelligent buildings in the capital. We definitely need more such projects. The book helps us see the hiccups, the daunting deadlines and the challenges that came across. The perspective that one gets after going through the book is enriching. 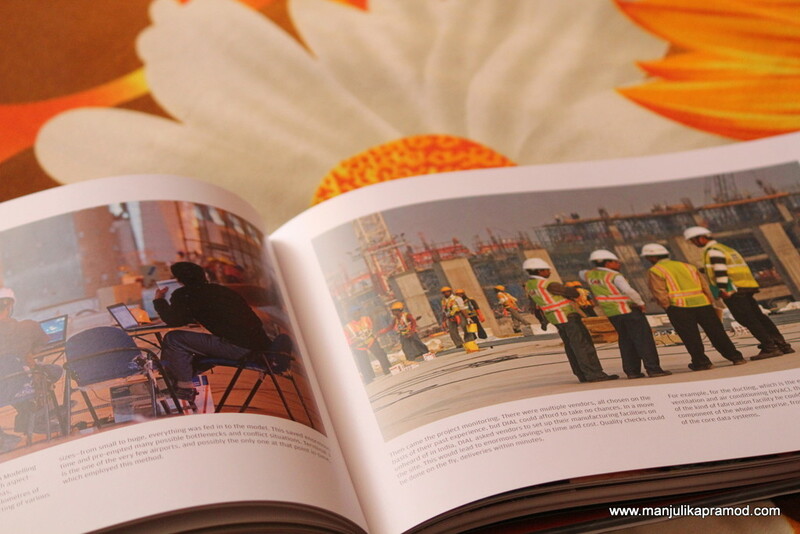 Leave alone the text, the book has a beautiful collection of pictorials and it is inspiring. To commemorate the occasion of successful completion of 10 years (2006-2016) and to capture a journey so beautiful, so progressive and highly inspiring is beautiful. I bet your heart will swell with pride to turn the pages and read about the idea, inception, whole transition, up gradation and modernization of something which seemed impossible to do. When I hand-held the book and went through the notes put down there, I couldn’t help but fall in love with the airport all over again. The brilliant pictures left me awe-struck and there was so much new to find out. From its size to scale to planning, it was enlightening to read all that has gone into its making. When travellers from other countries come to India, airport is the first building that makes an impression. It is very important to strike the right chord and come across as warm and welcoming. GMR group says that when they got the contract to modernize and reconstruct the Delhi Airport, they wanted to make an asset for India, world class infrastructure, as good as world’s best, if not better. They wanted to give the most gracious welcome to the international travellers. The book encapsulates the complete story of ten years and it also touches upon the key changes. It begins with the testimonials from dignitaries, then goes on to brief history of civil aviation in India, the revolution that has touched the skies, details out every little thing about the mega terminal, motifs and sculptures that have been placed, trees and plants abound, the seamless work that has gone into its making, the milestones that were set, how many people were involved in its making and finally leaps into the smooth functionality and what makes it one of the best in the present competition. Every time I turn the pages of the book, I learn something new. Rightly put, “Airports are home to man and machine.” Everything has to be the best and in control. Delhi airport is estimated to cross 80 million annual pax by 2020 thus surpassing Heathrow, one of the busiest airport in the world. As a citizen of India who pays taxes, I take a keen interest in economics too. We all know that infrastructural growth as well as the revolution in aviation has definitely had a very positive impact on our economy. The other book talks about numbers and states. Economic Impact Study of Delhi Airport has been done by National Council of Applied Economic Research (NCAER) and it tells us that operations of Delhi Airport have a significant economic and social impact in Delhi-NCR and surrounding regions. These benefits extend far beyond the boundary of the Airport and its community. The Airport has contributed amazingly and here are some numbers that prove the success in facts and figures. It has contributed…. I hope this blog post was helpful and has added a fresh outlook towards Delhi Airport. Do let me know your thoughts when you are there next time. I have definitely started connecting with it differently. Do catch up my next post where I will share some of the most striking features of the Delhi Airport, as soon as I finish reading the Coffee Table book.